NEW: “The Multi-Stage Experience: the Simulated Work Task Approach to Studying Information Seeking Stages”. Paper presentation (Huurdeman, Kamps, Wilson). CHIIR 2019 Workshop on Barriers to Interactive IR Resources Re-use, Glasgow, United Kingdom. March 2019. Slides. NEW: “VR: Past, Present & Future”. Presentation. Cinedans VR LAB, Amsterdam. March 2019. (Slides forthcoming). NEW: “Looking Beyond the Picture – Enhancing Sensemaking of Audiovisual Materials in the Media Suite”. Abstract presentation (Huurdeman, Melgar Estrada, Van Gorp, Noordegraaf, Ordelman). Sensory Moving Image Archives Symposium, University of Amsterdam. February 2019. (Slides forthcoming). “Op ontdekkingsreis door het KB webarchief — Exploratieve visualisatie in een onderzoekscontext”. Invited talk at NDE study day ‘Het web gearchiveerd?’, Hilversum, Netherlands. October 11, 2018. Slides. “CLARIAH Summer School: Visualization Lecture”. Tutorial at CLARIAH Media Studies Summer School 2018, Hilversum, Netherlands. Slides. “Visual Navigation Project: Outcomes”. Presentation at Visual Navigation Project final symposium, Oslo, Norway. June, 2018. Slides. “Supporting the Complex Dynamics of the Information Seeking Process. Presentation at PhD defense & “Beyond the Simple Search Box” symposium. Amsterdam. April 2018. Slides. “XIMPEL – 10 Years of Immersive Media Experiences”. Presentation (Huurdeman, Bhikharie & Eliens). BigVideo Sprint conference 2017, Aalborg University, Aalborg, Denmark. November 2017. Slides. “De collectie in een ander licht – Creatieve inzet van nieuwe technologie in de digitale en fysieke bibliotheekomgeving bij de UB Oslo”. Invited talk. KNVI Jaarcongres 2017, Nieuwegein, Netherlands. November 2017. Slides. explore large heritage collections”. Invited talk. 4th International Alexandria Workshop, L3S, Hannover, Germany. October 2017. Slides. “From Data to Visuals: Data Processing & Visualization”. Library Carpentry Tutorial, University of Oslo, Norway. Lesson materials. “Inspirational Journeys – Challenges and Solutions for Visual Navigation of Library Resources”. Presentation at workshop, VIRAK conference, Oslo, Norway. June 2017. Slides. “More than Meets the Eye” – Analyzing the Success of User Queries in the Oria catalog. VIRAK conference, Oslo, Norway. June 2017. Slides. “Shell Lessons for Librarians”. Library Carpentry Tutorial, University of Oslo, Norway. January 2017. Lesson materials. “Webarchief&Wetenschap.” Invited panel presentation & discussion. AVA-Net Symposium 2016, Hilversum, Netherlands. June 2016. Slides. “From Exploration to Construction – How to Support the Complex Dynamics of Information Seeking. Invited presentation, L3S Research Center, Hanover, Germany. May 2016. Slides. “Towards Multidimensional Web Archive Access: Creating and Analyzing Representations of Aggregated Web Content.” Abstract presentation, IIPC Web Archiving Conference 2016, Reykjavík, Iceland, April 2016. Slides. “Active and Passive Utility of Search Interface Features in Different Information Seeking Task Stages”. Paper presentation, ACM Conference on Human Information Interaction and Retrieval (CHIIR), Chapel Hill, NC, USA, March 2016. Slides. 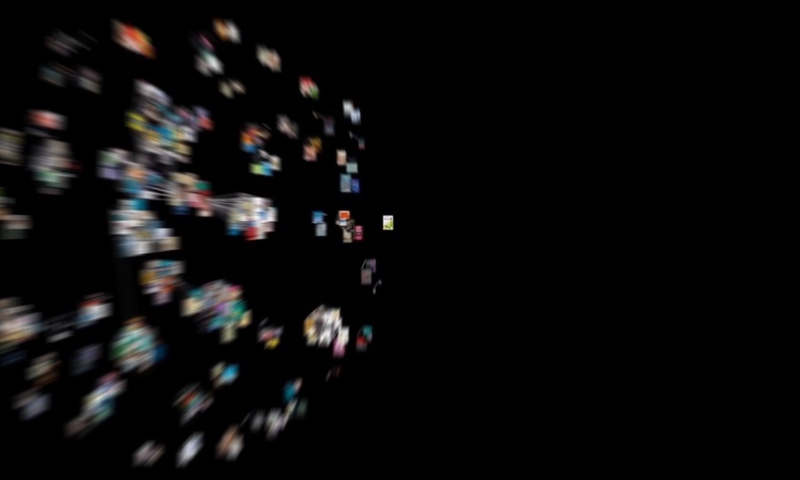 “Beyond the ‘Eternal Now’ — preserving and accessing our past via Web archives” (2016). Guest lecture, Digital Heritage Master course, University of Amsterdam. Slides (PDF). “Beyond Search — Exploring Corpus Creation Support in the WebART project” (2015). Presentation, RESAW Technical Meetup, University of Aarhus, Denmark. Slides (PDF). “Supporting the Process: Adapting Search Systems to Search Stages.” Paper presentation (Huurdeman & Kamps, 2015), Third European Conference, ECIL 2015, Tallinn, Estonia, October 19-22, 2015. Slides. “From Multistage Information Seeking Models to Multistage Search Systems – Redux”. Paper presentation (Huurdeman & Kamps, 2014),14th Dutch-Belgian Information Retrieval Workshop 2015. Slides. “The Value of Multistage Search Systems for Book Search”. Paper presentation (Huurdeman et al., 2015), CLEF 2015 Interactive Social Book Search Workshop (2015). Slides. “Towards Research Engines: Supporting Search Stages in Web archives.” Paper presentation, Web Archives as Scholarly Sources conference, Aarhus, Denmark (2015). Slides. “Beyond the ‘Eternal Now’ – preserving and accessing our past via Web archives” (2015). Guest lecture, Digital Heritage Master course, University of Amsterdam. Slides (PDF). “Shaken, Not Steered: The Value of Shaking Up the Search Process”.Poster presentation (Huurdeman & Kumpulainen, 2015), Supporting Complex Search Tasks workshop, ECIR conference 2015. Poster. “WebART: Hoe maak je webarchieven bruikbaar voor de wetenschap?”. Invited talk NCDD “Webarchivering in Nederland” symposium (30/10/14). Slides. “From Multistage Information-Seeking Models to Multistage Search Systems.” (16/09/14). Invited talk INEX Interactive Social Book Search Lab, CLEF conference 2014. Slides. “Finding Pages in the Unarchived Web”. (11/09/14). Paper Presentation (Huurdeman et al, 2014), ACM/IEEE Digital Libraries conference 2014. Slides. “Supporting Search Stages”. (08/09/14). Doctoral Consortium presentation ACM/IEEE Digital Libraries conference 2014. “From Multistage Information-Seeking Models to Multistage Search Systems. (29/08/14). Paper presentation (Huurdeman & Kamps, 2014), IIiX 2014 conference. Best presentation award. Slides. “Adaptive Search Systems for web archives”. (26/08/14). Doctoral Consortium presentation IIiX 2014 conference, August 2014. “Supporting Search Stages – Multistage Interfaces for Complex Search”. Invited presentation, Information Access Group, Centrum Wiskunde & Informatica (10/03/14). “Supporting Search Stages – Multistage Interfaces for Complex Search”. Research visit presentation, Information Systems Group, Computer Science and Applied Cognitive Science, University of Duisburg-Essen. (29/01/14). “Web archives & the WebART project”. Invited talk, Koninklijke Bibliotheek, afd. Innovatieve Projecten (26/11/13). “Data Digging @ KB”. Invited talk, eHumanities Group, Meertens Institute (19/09/13): New Trends in eHumanities. Slides. “Beyond Search: Sensemaking in Web Archives”. Workshop presentation, University of Amsterdam (11/09/13): Web Archive Search as Research: Methods for Studying Searchable Web Archives. “Sprint Methods For Web Archive Research”. Poster presentation (Huurdeman et al, 2013), ACM Web Science Conference 2013, May 3, Paris, France. “WebART: Facilitating Scholarly Research”. Presentation, International Internet Preservation Consortium conference: Scholarly Access to Web Archives: Progress, Requirements and Challenges. April 25, 2013, Ljubljana, Slovenia. Slides. Panel: Research Tools for Web archives. Invited panel member, Presentation International Internet Preservation Consortium conference: Scholarly Access to Web Archives: Progress, Requirements and Challenges. April 25, 2013, Ljubljana, Slovenia. “Introductie van WebART”, Invited talk, Koninklijke Bibliotheek, afd. Innovatieve Projecten (12/03/2013). “Introducing the WebART project: Web Archive Retrieval Tools”, 3rd LAWA User Workshop: Big-Data Analytics for the Temporal Web. Abstract presentation. November 13, 2012, Conservatoire National des Arts et Métiers, CNAM, Paris, France. “WebART project en webarchivering”, Guest lecture, Information Retrieval course, University of Amsterdam (15/10/2012). “Contextualizing the Dewey Decimal Classification using Freebase”. Position paper presentation, LOV Symposium: Linking and Opening Vocabularies. June 18, 2012, Universidad Carlos III de Madrid, Madrid, Spain. “Interactive storytelling & XIMPEL applications”, Guest lecture (w/ W. Bhikharie), Multimedia Authoring course, VU University, Amsterdam (2010). “Visualizations of social projects”. Presentation, Clima Futura Laboratories opening event, VU University, Amsterdam (2008). “Introducing XIMPEL – The eXtensible Interactive Media Player for Entertainment and Learning.” Paper presentation (w/ M. v.d. Watering; Huurdeman et al, 2008), DIVERSE 2008 conference (2008). “Interactive video”, Guest lecture, Introduction Multimedia, VU University, Amsterdam. “Clima Futura”, Klimaatsymposium. Presentation, Erasmushogeschool & Vrije Universiteit Brussels, Belgium (2008).